The sights and sounds of New Orleans are like no other in the entire world. The smoky sounds of jazz emit from the open aired bars and thick southern accents lazily roll from mouths. Po�Boys are the sandwiches of choice and the food is spicier than most places with Cajun style food being the cuisine of choice. Beads and ornate masks hang in storefront windows whether it�s Mardi Gras time or not. All of these wonderful things symbolize the Big Easy, one of the most unique cities in the United States. Many find themselves returning again and again throughout their lifetime for numerous reasons, mainly because the city is absolutely bursting with culture and history. In New Orleans, Old World charm blends magnificently with the modern day world. The Omni Royal Crescent Hotel is an excellent example of these two very distinct worlds merging together. Located just minutes away from the infamous French Quarter, this boutique hotel is everything that world savvy travelers look for when choosing accommodations. The Omni Royal Crescent Hotel is just a hop, skip and a jump away from all of the extraordinary attractions that set New Orleans apart from other modern day cities including Bourbon Street, the Superdome, the Mississippi River, Jackson Square, Jax Brewery and the Aquarium of the Americas. After one stay in this luxurious, yet relaxing, hotel, you will find yourself returning again and again whenever your journeys lead you back to the Big Easy. The Omni Royal Crescent Hotel boasts 98 beautifully appointed accommodations. 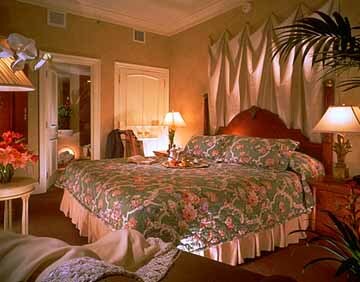 Guests of the hotel may choose between several room types including King Size Rooms, Queen Size Rooms or Suites. The floor to ceiling windows in the suites provide guests with spectacular views of the surrounding city. Guests may request a guest room that has its own Jacuzzi. Bedtime is an entirely relaxing experience in itself as the beds feature a custom made mattress and soft, cozy linens. Luxurious European bath products and plush terry cloth bathrobes await each and every guest in the ornate bathrooms. All accommodations have a remote controlled color cable television while the suites offer the added luxury of a VCR and CD player. Other in-room amenities include a fully stocked mini-bar, dual-line telephone with a data port connection, hairdryer, satin clothes hangers and an in-room safe. Handicap accessible and non-smoking guest rooms are available upon request. Children ages 17 years and younger stay at the Omni Royal Crescent Hotel free of charge. Pets weighing less than 25 pounds are welcome guests at the hotel, although a non-refundable fee of $50 is required. Check-in is at 3:00 pm and guests must check-out of the hotel by noon on the day of their departure. The guest services offered at the Omni Royal Crescent Hotel in New Orleans easily equal, if not surpass, those offered in other high-end hotels across the world. The highly professional, extremely courteous staff is on hand to ensure that each and every guest�s needs are met quickly and efficiently. The concierge is the person to see if help is needed securing dinner or theater reservations or just to answer questions about local points of interest. 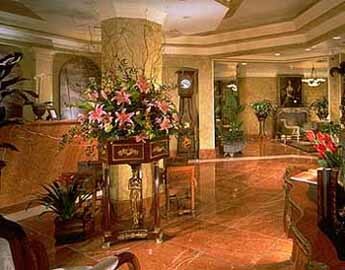 Other in-hotel services include shoeshine, laundry, dry cleaning, housekeeping and valet. General public parking is also located nearby. The Omni Royal Crescent Hotel is also very child friendly. The Omni Kids Program is both entertaining and safe for children to participate. Workout enthusiasts will be happy to discover that the hotel has its own state-of-the-art fitness facility that is open to guests around the clock. Equipment includes free weights, treadmills and Cybex machines, among others. For those who prefer to exercise in the privacy of their own room, Get Fit Kits are available. These kits include a floor mat, dumbbells and elastic bands. This is more than enough to accomplish an excellent workout session. The hotel also has its own swimming pool that is located on the rooftop. This is the perfect place to catch some rays during the warmer months. There is also a Jacuzzi, two saunas and a whirlpool on the property. Guests can enjoy some home-style New Orleans cooking at the hotel�s delicious restaurant, Maison Bleu. Guests may dine in their room anytime throughout the day and night. 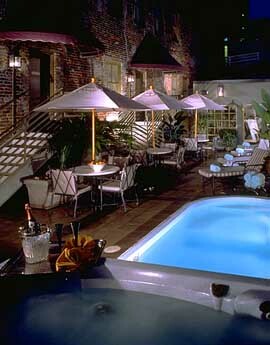 The Omni Royal Crescent Hotel is located at 535 Gravier Street in New Orleans. 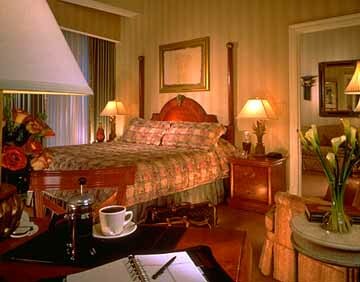 The hotel is in close proximity to many of the city�s most popular attractions and 35 minutes away from the New Orleans International Airport.